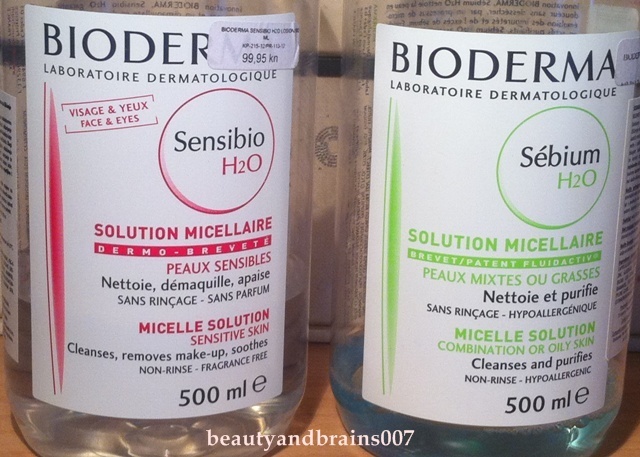 You probably rolled your eyes when you saw another Bioderma micelle solutions post. Ever since Lisa Eldridge recommended them everyone got at least one bottle no matter the price or availability. I am happy to inform you that in Croatia they are easy to find and although they are pricey, you can often find them on sale. As you can see, I know what I am talking about. I've gone through couple of bottles already and I have one new bottle in stock. It comes in three sizes: 100 ml/250 ml/500 ml bottles. I of course bought the biggest size because it is also the most affordable one for the amount of product you get. 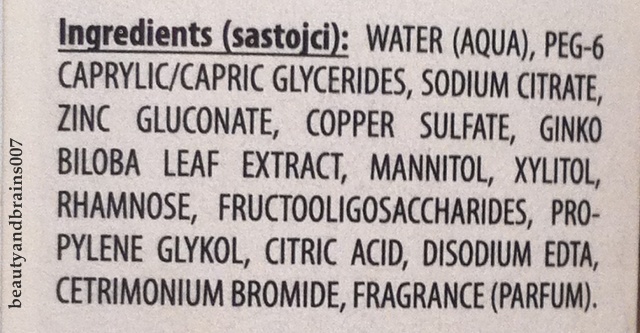 In Croatia you can find it in pharmacies and its full price is 95,93 kunas (about $18, 9.50 GBP, 12 Euros). I first got Sebium version because Sensibio was out of stock for some reason. And since I have oily skin it seemed like a logical solution. 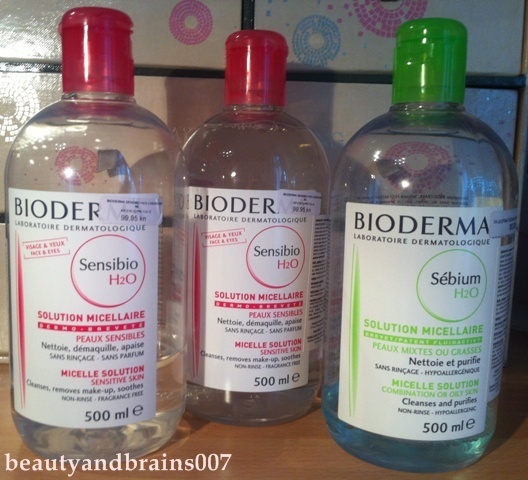 But as soon as Sensibio was back on the market, it got its place in my bathroom. As I get older, I am more worried to be gentle on my skin and keep it hydrated.
" 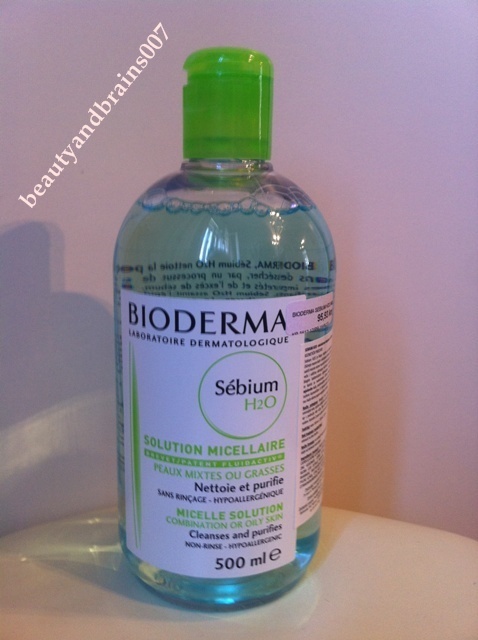 Sebium H2O cleanses the skin gently without drying it, through the micro-emulsion of impurities and excess sebum. 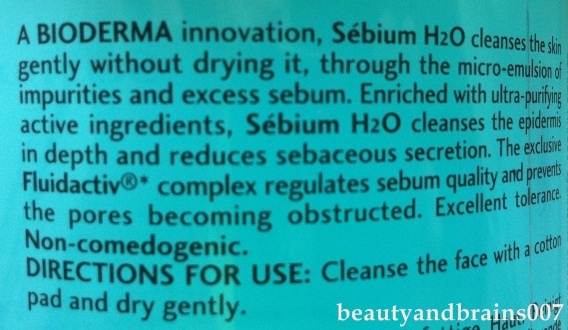 Enriched with ultra-purifying active ingredients, Sebium H2O cleanses the epidermis in depth and reduces sebaceous secretion. 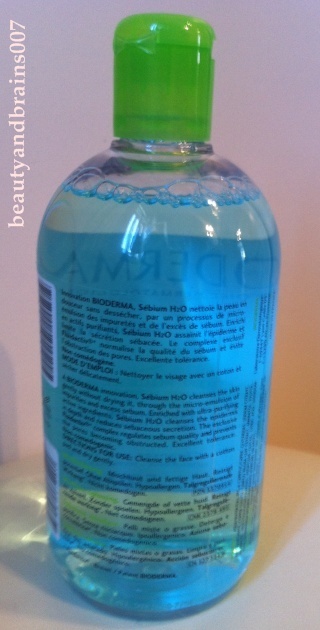 The exclusive Fluidactiv complex regulates sebum quality and prevents the pores becoming obstructed." 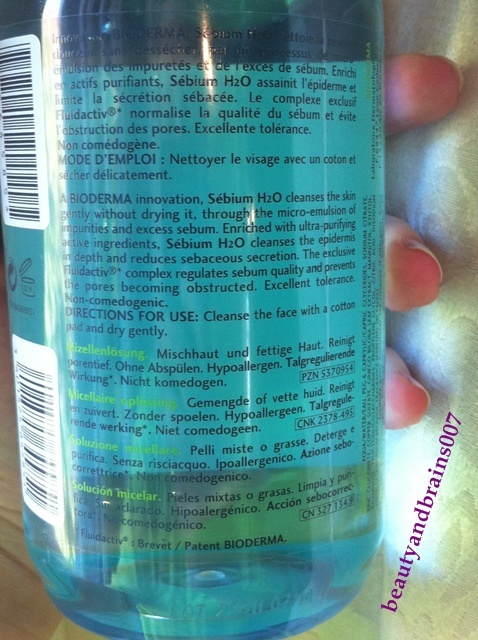 " Sensibio H2O gently cleanses and removes make-up from face and eyes. The micelles contained in its formula effectively micro-emusify impurities while maintaining the cutaneous balance. Soothing active ingredients prevent the skin feeling irritated. Excellent cutaneous and ocular tolerance. " They are both used in the same way. Soak a cotton pad, cleanse, remove make-up and dry gently. Both versions are light but they smell differently. Sebium has a stronger, clean scent, and Sensibio, although it is supposed to be fragrance free, has a much softer and less noticeable scent. But you shouldn't worry about them since you can't smell them on your skin, just on the cotton pad. My skin is oily but not problematic. Until recently, it wasn't sensitive but now I have to be more gentle to it and hydrate it more to keep it happy. Sebium version isn't bad but I like Sensibio version better. It is more gentle. 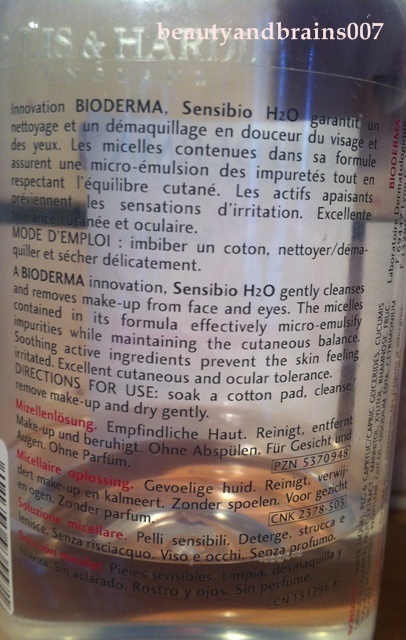 I didn't see a huge difference, my eyes or my skin didn't burn from any of them, but Sensibio was lighter and more gentle. I suggest to get Sensibio over Sebium. 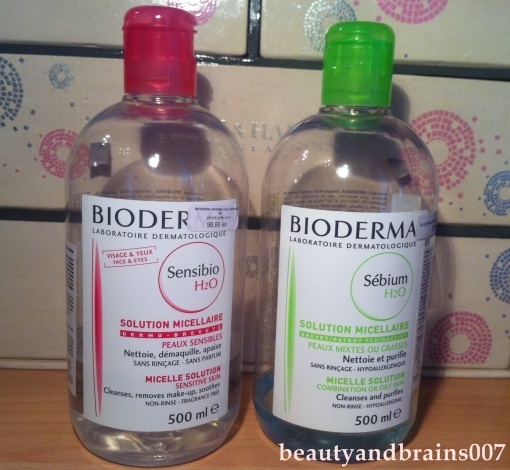 I use Bioderma micelle solutions as makeup removers. If you keep a cotton pad with your Bioderma on the eyes for a while you can even remove false lashes without any problem. I wouldn't say that they are a makeup remover and a toner- all in one- although they claim that you don't have to wash your face after them. I always wash my face with water and continue with my face routine. 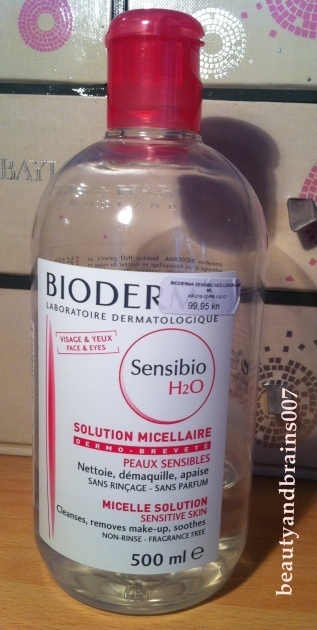 As I said, I prefer Sensibio and recommend you to try it. I've heard that the big 500 ml bottle lasts from 3-4 months to some girls but I have the 500 ml bottle for about two months and use it only in the evening to remove my makeup. I am aware that they are a bit pricey but they are worth it. Did you try it? What do you use to remove your makeup?